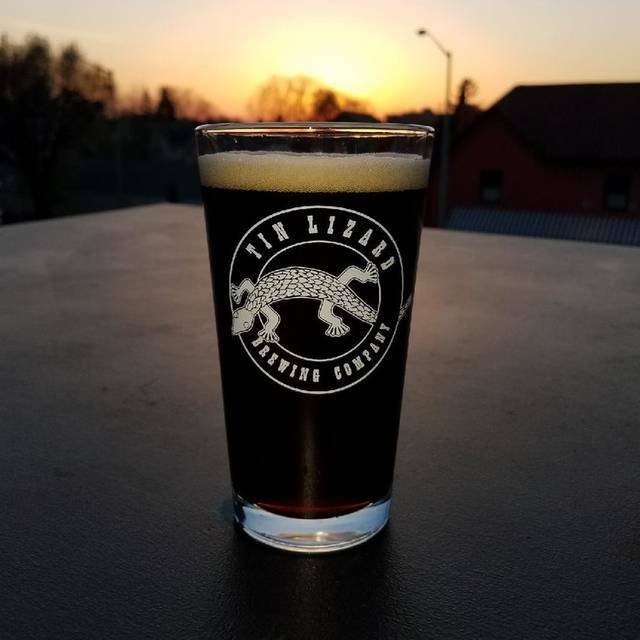 You must make reservations at least 5 minutes in advance of the time at Tin Lizard Brewing Co.
With advance notification, we can accommodate large orders for pick up and self serve. Call Restaurant Directly for parties over 6 people and Private Events. 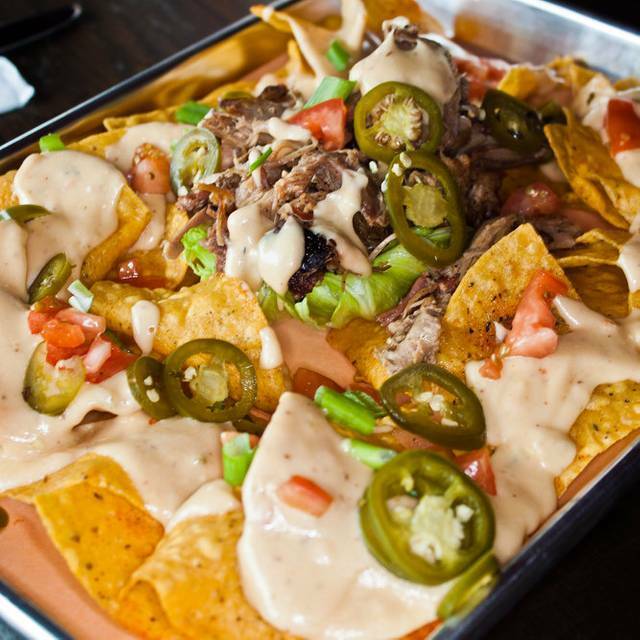 Tin Lizard is a Craft Brewery that offers Smokehouse Southern BBQ. The first floor offers a bar, TVs and table seating Additional dining is available on the second floor and our guests can enjoy dining on our deck weather permitting. Reservations for 5 or more, please call restaurant directly. Walk-ins are welcome. Staff seemed to be panicking. It turned out there was only one waitress for both floors. Food was okay and so was the beer. I would have liked another round but that wasn’t possible with limited attention. Also not ideal to be out of ribs and chicken wings during prime time dinner service. Smoke alarm every 10 minutes was a nice touch. We’ll give it another shot and hopefully things will be smoother. The price for food didn’t match the quality or quantity of food. My husband and I were disappointed. outstanding beef brisket.....not readily available anywhere else in this area! Best BBQ in the area. First and most likely last visit to Tin Lizard. If you decide to check it out, request a seat on the first floor. Better atmosphere, TVs, bar, and I imagine more attentive service. We were seated upstairs, where it was quiet, a little cold (management turned the heat up but commented that it would be a sauna shortly - thanks? ), and inattentive service. Feel isolated and somewhat forgotten. Food hit or miss: buffalo cauliflower and fried pickles apps were great. French fries and cole slaw sides excellent, and pulled pork sandwich pretty good. Don't recommend brisket cheesesteak or the burger, and skip the cornbread muffins. Only other occupied table upstairs ordered the BBQ platter, looked pretty good. 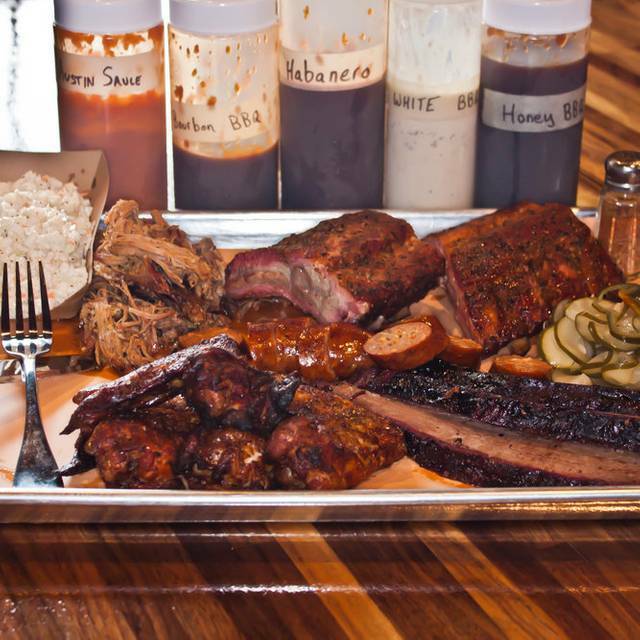 BBQ sauces offered on the table were all pretty good, so only reason I would go back would be a platter or the ribs. Great time sitting at bar. Trying all the beers. Food was awesome and we met some nice people. Loved it!!! They were out of thr beer I wanted to try but that gives reason to go back. The food portions are big. Waited more than an hour for BBQ. Forgot appetizer and still took 45 minutes after reminding them. Didn't fill water. Didn't offer to do anything despite knowing it was a poor dining experience. Won't go back. The microbreweries were excellent. Great sandwiches had hand carved turkey & beef. Our waitress was awesome. Fun lunch with family! I like Tin Lizard for an informal casual meal of pub food. We really enjoyed Tin Lizard! The beer is excellent. The black IPA was delicious as was the North East IPA. We both had baby back ribs and they were so moist and flavorful that we didn't need any of the 5 barbecue sauces available on the table. 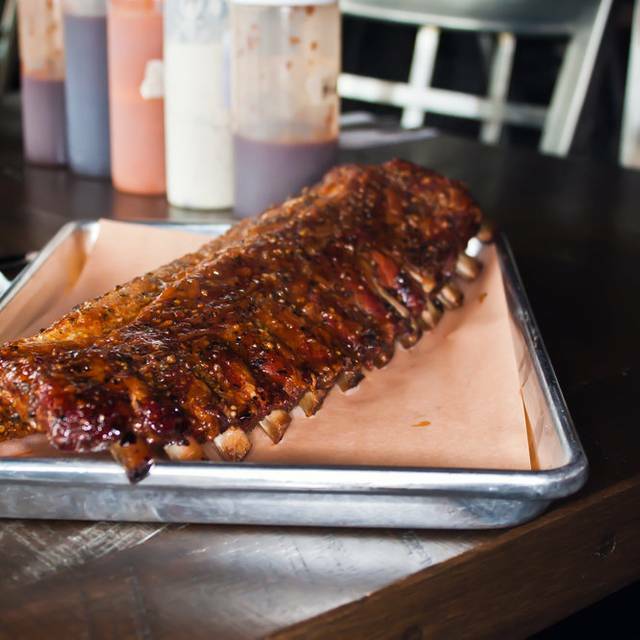 They were the meatiest ribs we've ever had. My husband could't finish the full rack he ordered but was very happy to have them for lunch the next day. 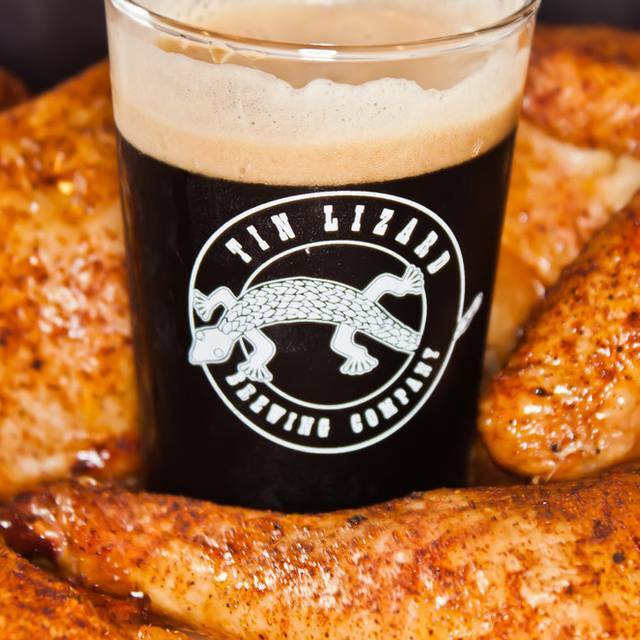 If you like barbecue and if you like craft beer, Tin Lizard is a match made in heaven. Wasn't at all what I expected.. the food was cold, and not gd.. It just wasnt authentic barbecue..
We went to Tin Lizard for Father's Day with our 2 and 6 year old boys. The food was amazing, the beer was fantastic, and the atmosphere laid back and comfortable and totally fine for crazy kids. We'll definitely be going back. Everything was good, enjoyed the food and beer. Only complaint is that we sat upstairs and that room can get really noisy really fast. Hard to have a conversation at the table. A fun place to catch up with friends. Good BBQ and beer. Great barbecue along with a fantastic beer list. Great BBQ and beer. Yum! Wonderful food!! It is loud upstairs, but we were still able to enjoy our meal. Good beer, staff is friendly and attentive, and food is good if you don’t mind eating a lot a meat. We enjoyed the food and the beer brewed on site is interesting. It was a little cold the day we were there; we told the server and she said they would address it. I would return. 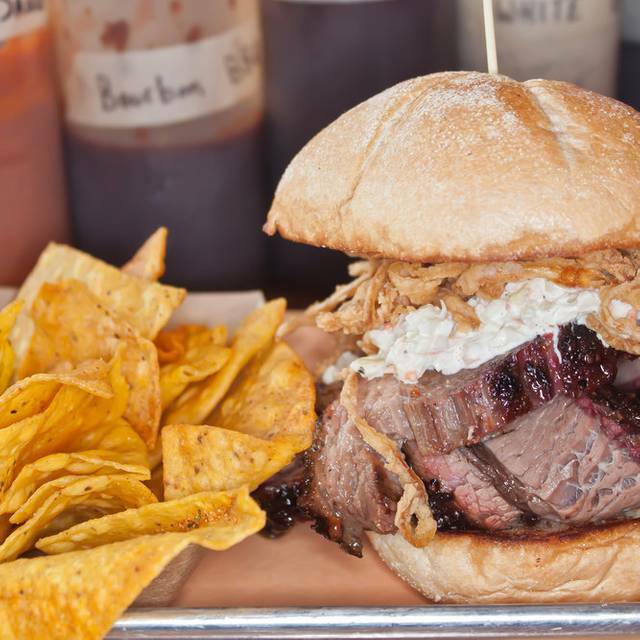 Awesome BBQ in a casual and fun location. Super friendly service too. Definitely worth the visit. I was coming to the restaurant to meet a friend whom I have not seen in a few months - his dad just died and I wanted to see how he was doing after that. The beer was very good as was the food. I really recommend the mac and cheese!! I would definitely go back again, but I had 2 small complaints: (1) the upstairs room was absolutely freezing - it was a cold night for sure, but I don't think there was any heat on upstairs at all. (2) happy hour specials are only good on the first floor - it seemed to be a bit of a scam to me because I wanted to sit somewhere to catch up with my friend and not be there with all of the noise on the first floor. Why couldn't I get a few bucks off my first drink? Solid BBQ place in Bryn Mawr. We enjoyed the chicken wings, and ribs especially. Husband had the BBQ brisket sandwich and really enjoyed it. Beers were great.